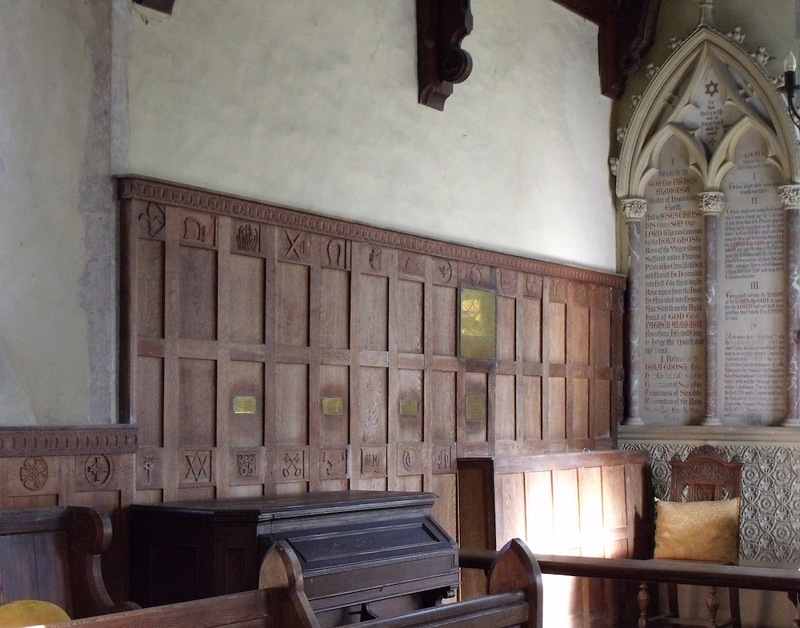 It’s enough that this church may date back to Saxon times but an unexpected delight is the simple wood carvings in the chancel, apparently done by the villagers in the 1920s. 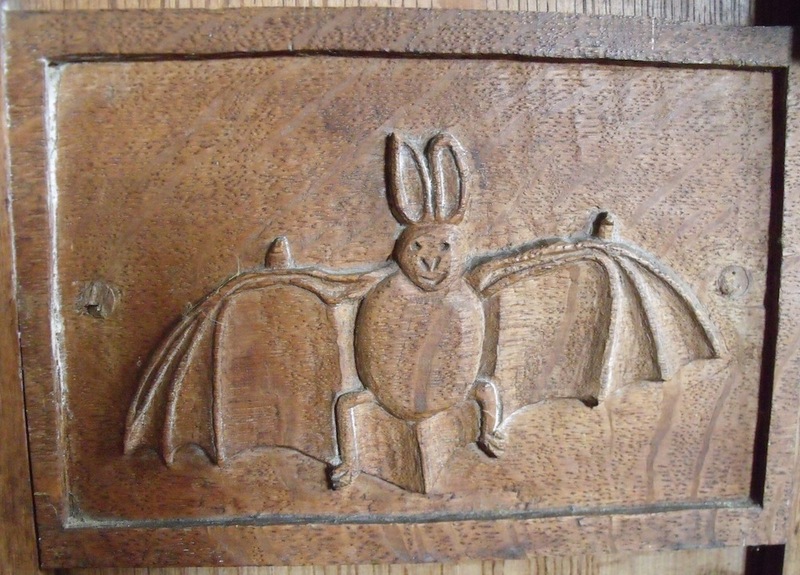 Church patron in the 1930s Sir Robert Shafto Adair organised winter evening classes where people of all ages worked diligently together by candlelight, to carve local creatures – such as a bat, a mouse and a shire horse – in the oak panelling to enhance the building that meant so much to them. 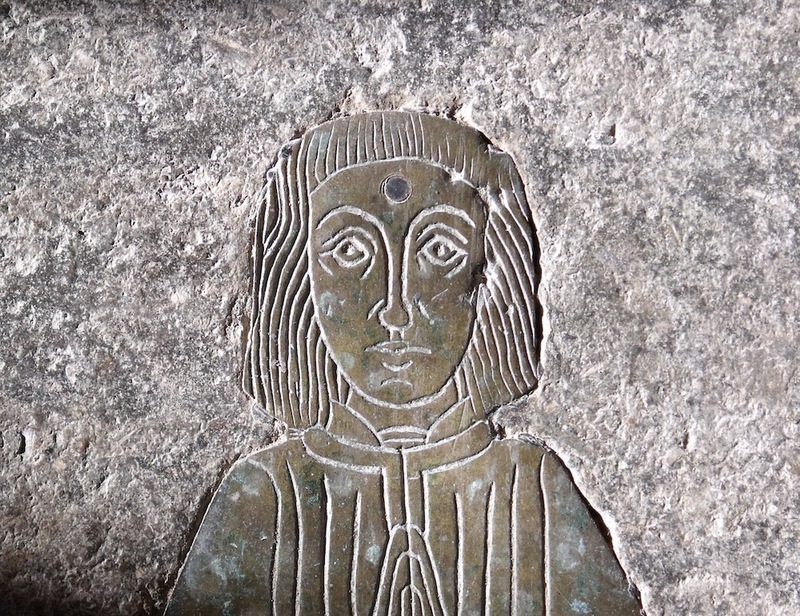 Get the church guide to help you discover the three brasses, one showing a civilian and his wife in the 16th century. The South Elmhams – all seven of them – were once part of a deanery founded in the 7th century by St Felix. Read more about St Felix and how he preached in the area. 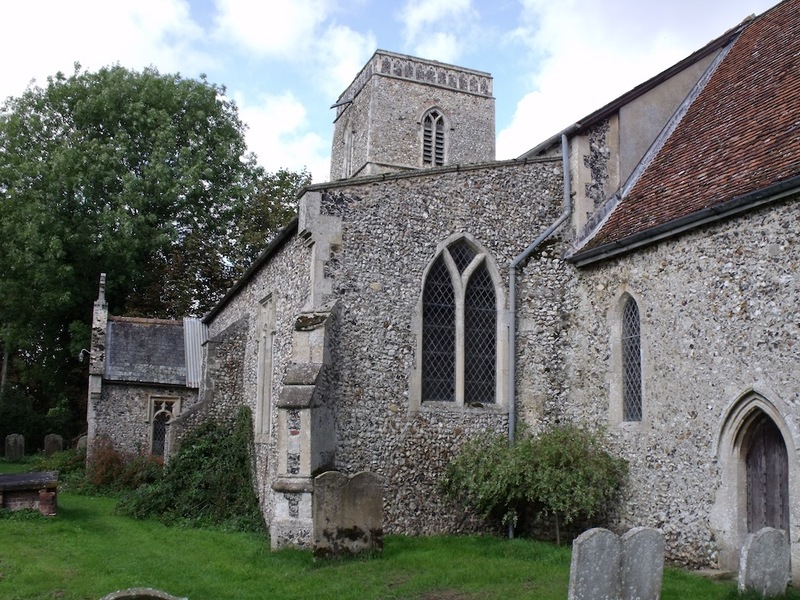 St James South Elmham church may date back to before the Norman conquest – the layering of flint at the base of the nave wall tells us it is early. And could the round windows either side of the George III Royal Arms be Saxon? 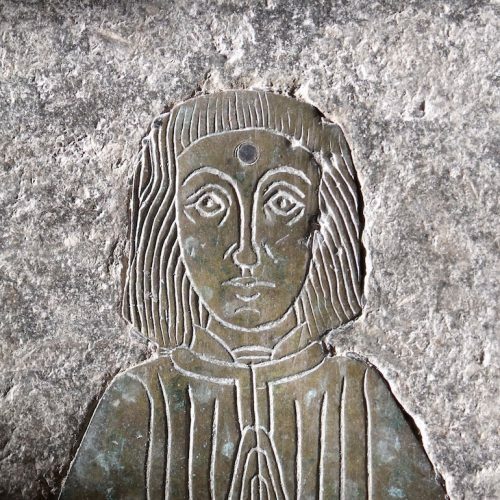 No household names but a wealth of interesting characters such as the above Sir Shafto who carved two giant owls – so attractive that they were stolen in the 1980s and those you see today guarding the lectern are the magnificent replacements. 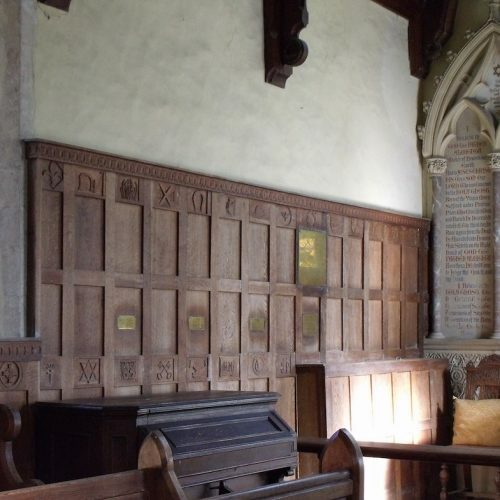 This church is in the ‘Saints’ area of Suffolk between the Blyth and the Waveney that has been variously described as ‘bow and arrow country’, ‘a mysterious area’ and ‘a maze’. The third is probably closest to the truth but only because there are seven South Elmhams and it’s easy to get confused by the signposts. This village is the oldest. 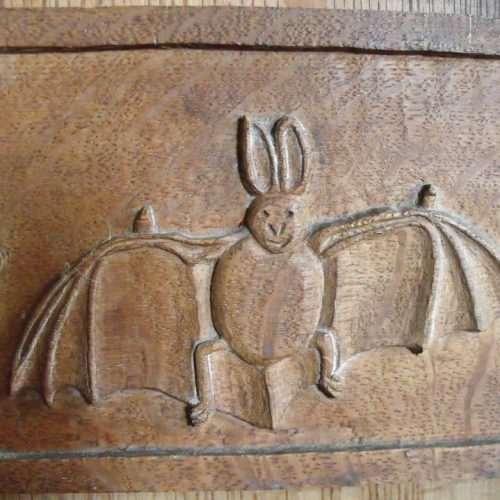 The serenity is what you come here for and the churchyard is a haven for wildlife, away from the intensive arable farming of the area. Pick up a guide to read about butterflies basking in the warm sun, tawny owls calling from the pines, and slow worms gliding through the damp grass. 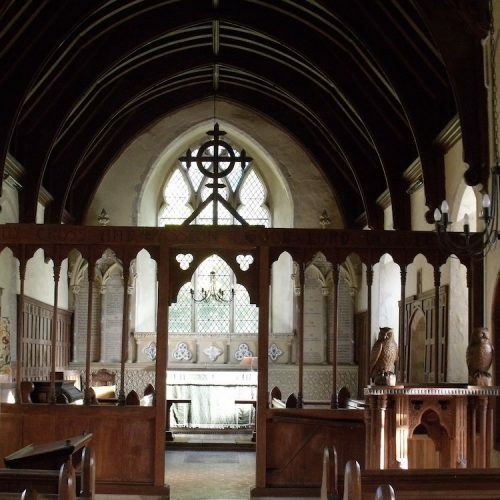 The Saints and its open churches is a great place to spend the day away from it all. With the lovely market towns of Bungay, Beccles, Halesworth and Harleston not far off, the ‘Saints’ are not exactly remote but the area is tucked away off the main roads and perfect cycling country if you like a flat run. 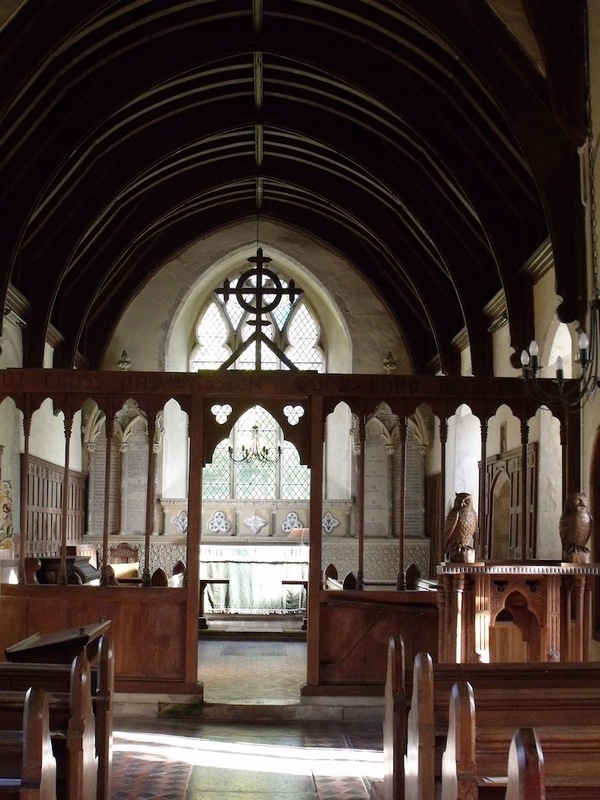 The ‘Minister’ at St Cross South Elmham is well worth a visit. This ruin, deep in the Suffolk countryside, certainly does have a sense of mystery about it. And there’s bags of history at South Elmham Hall, a former hunting lodge visited by kings where you can stay for B&B, take a house tour and enjoy a meal. Take the family to the Norfolk and Suffolk Aviation Museum at Flixton to see over 60 aircraft complete with cockpits. Discover the link with Sir Shafto and the Adairs. St Peter’s Brewery at St Peter South Elmham is worth a visit if you enjoy seeking out local produce. 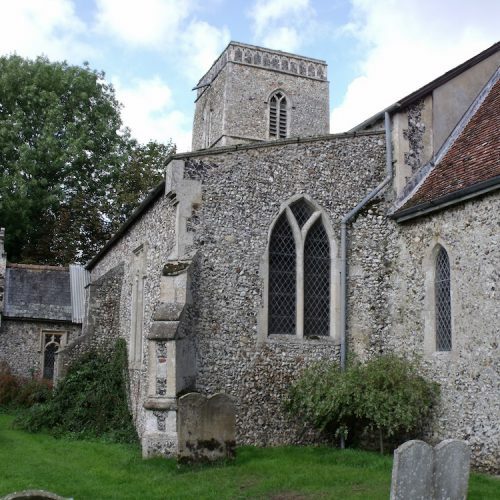 If you’re feeling really energetic, you can take a nine-mile walk from St Peter’s, taking in South Elmham Hall and three other saints churches.